Acronis Backup for PC provides disk-based backup and disaster recovery for Windows workstations and is designed for small businesses. It is the best solution to protect all your desktops and laptops – either on site, or on the road. You can back up your PCs as often as you wish without interrupting your workflows or productivity. In case of disaster, you will recover all your files, specific folders, corrupted disks, or an entire workstation with just a few simple clicks! Acronis makes it easy. Acronis Backup for PC leverages Acronis’ powerful disk imaging technology will provide the most up-to-date, least disruptive backups with the easiest recovery options available. Backed up by Acronis Backup for PC, your data is completely protected from hardware failures, viruses, malware, accidental deletions, and data corruption. Protect your workstations from hardware failure, viruses and file corruption. When a computer crashes, you are faced with expensive, disruptive downtime and the risk of permanent data loss. Now you can fully restore an entire system in minutes and get back to work! Acronis Backup for PC is the most effective solution for complete PC protection. Protected Recovery Partition. Acronis Secure Zone is a special protected partition on your hard disk that is used to store backups. This enables instant restore of a corrupt system from the same machine. Flexible Recovery. Quickly restore only what you need! Recover granular files, folders, disks, or an entire workstation. All from the same backup. Recover From an External Hard Drive. Startup Recovery Manager helps a user to recover their own PC by booting from an external portable drive that contains the most recent backup. Cloud Backup. Acronis Backup for PC supports a variety of storage media and backup locations, including Acronis Cloud Storage. Efficient Incremental Backups. Incremental backups identify only the changes made since the last backup. It also significantly reducing backup time and any impact on network bandwidth or backup storage. Dissimilar Hardware Support. Recover your PC in minutes – either to the same machine or an entirely new PC. 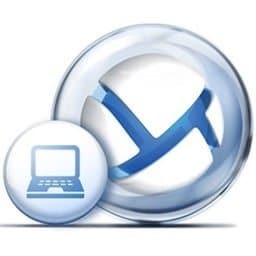 Acronis Universal Restore can install your backup image on a replacement drive in the original PC. Or boot a new PC and install the image with additional allowances. Wake-On-LAN for Backups. Ensure that your backups always run on schedule. Regardless of the power state of your PC. Wake-on-LAN allows machines to be turned on automatically, to perform backup routines. Direct Performance Management. Acronis Backup lets you to control your environment with bandwidth and disk-write speed throttling. That ensures uninterrupted system performance during backup routines. Backup Exception Lists. Save storage space by excluding files and folders that you do not need to backup. Centralized Management. Manage and report on all backup operations for all physical and virtual machines from a single dashboard. Modular Architecture. Acronis’ flexible modular architecture allows you to add more Acronis Backup Advanced products to your core solution at any time. Start with your immediate needs, then, as your business grows, simply plug in additional products to protect any new servers or workstations – without having to install a whole new backup environment! Deduplication. Built-in source-side/target-side block-level data deduplication reduces the volume of backup data by up to 90%. This maximizes backup speed, puts significantly less load on your network, and reduces backup storage requirements. Keep your employees’ work safe! Acronis Backup Advanced for PC is the leading solution for protecting all of your company’s desktops and laptops. It will protect your data completely from hardware failures, viruses, malware, accidental deletions, and data corruption.